How is it that the Japanese always seem to have edge on all things sweet and cute? Zakka, a term for household goods, is a good example of this, encompassing a vast range of adorable, charming little things for the home. 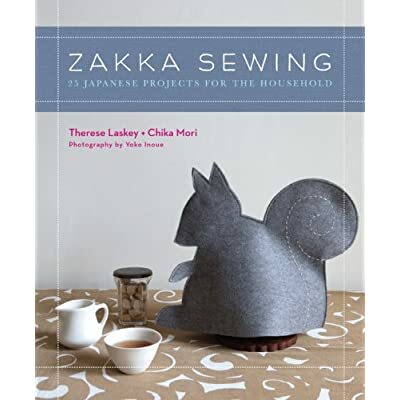 Most instructional books are in Japanese, but Zakka Sewing, written in English, is a great alternative! It has patterns for pincushions, placemats, potholders, and lots of other things. A pair of slippers in particular get rave reviews. Of course, no one really needs a squirrel tea cozy, or a rabbit coin/pencil case (seen below.) Still, aren't these the things that make life a little more beautiful, bringing a little sweetness into our day? Particularly for children, these enchanting little projects are not to be missed.